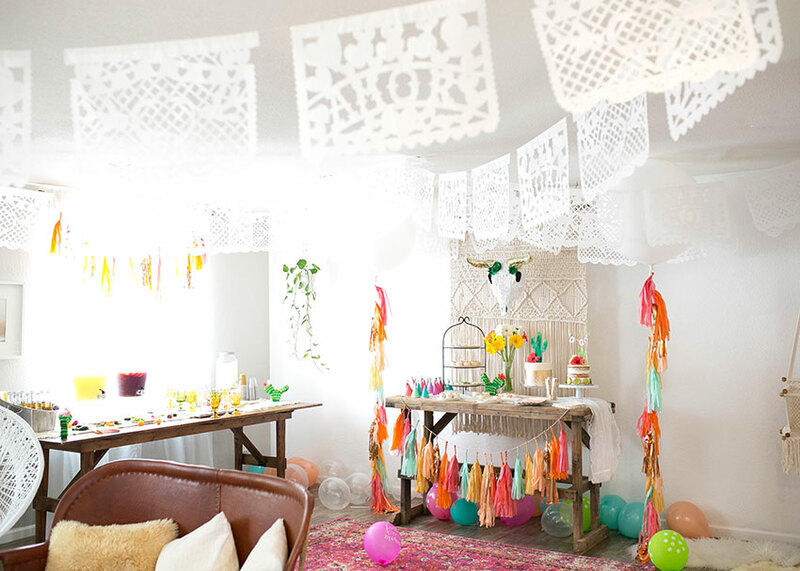 A Modern Fiesta with The Love Designed Life! Posted on January 6, 2017 by Jessica Deans. it's Poppy's first Halloween!! That means I wen't all out and took so adorable pics to commemorate the occasion. I also added some goodies to our shop so you can take cute pics like these at home too! We saw that unicorn suit at Carters last month and snatched it up!! Honestly, she looks like a marshmallow more than anything - but still the cutest, little marshmallow I've ever seen! This is a personal post for me, which I don't do very often, but I really want to share with you how things are going here at Paper Fox La now that we have a new little crew member. Life as a work-from-home mom is NO JOKE. I knew things would be crazy but I honestly didn't plan at all - because well, let's face it, you don't know until you know... right? How are you supposed to plan for working at home with a newborn if you've never done it before? My whole pregnancy, I kept telling myself that a solution would present itself organically, and that I would somehow just know how to balance motherhood and work... like it was a secret power you develop after you give birth. yeah right. I am currently living out my worst nightmare as a business owner while simultaneously experiencing pure joy as a new mom. It's complicated, to say the least. As a business owner - and currently the only member here at Paper Fox, I am struggling with the day to day operations, that used to be a piece of cake. Take Customer Service, for example: I used to LOVE answering emails and engaging with customers and creating custom pieces. It was the best part of my job. And now, well, all my free time is dedicated to my little one. I am constantly readjusting my expectations and repeating the mantra "you can't do it all, you can't do it all" . But that's hard, ya know? I am used to a certain standard in my business and now, everything has changed. Rush orders? Custom party planning? Deliveries and installations? Events? Sponsorships? All these things used to be a resounding YES and now... well... who know? The biggest question is wether or not my business is going to be a success now that I can't give it 100%. It's terrifying, really, because I have placed a lot of personal value in my business. If it doesn't succeed... does that mean I'm a failure? Before Paper Fox, I really struggled to find my place in the workforce. I was never really passionate about anything I was doing, and, in turn, I wasn't really that great at any of the jobs I had. It was the classic catch 22 situation. Working for myself has been a huge accomplishment- especially since I never ever thought in a million years I would be able to start a business from scratch. And now, here I am, on the precipice of success and failure (at least in my own eyes.) The flip side to all this uncertainty, is that I DO get to be home with my baby- which is a major stress factor for most working moms. At the end of the day, at least I know that I am experiencing all of Poppy's developmental milestones despite the complete chaos that is often my workday. I see some work-at-home moms on Instagram and on Etsy and they seem to work like... a million hours a day. Answering emails as soon as they come in, constantly growing their social media following, collaborating with other businesses and STILL they seem to be able to manage 3 kids and a marriage... do they work all night? Do they never sleep?! I mean, this is all speculative but man, I feel guilty every second that I take for myself, especially when I know I have 20 unread emails sitting in my inbox. But I also know, that if I don't draw the line between work and my personal life, I'll probably go insane. And so, I take weekends off and deal with the angry customers who didn't receive an email that weekend on Monday... Or maybe Tuesday. I spy Poppy Darling sleeping in the corner! I learned about the Dock-A-Tot from Monica at GuguGuru and it has made a huge difference at nap time, allowing me to get a little more work done during the day. So, I guess the point of this post is to A) show my customer base that I am a human being, and that I have real human struggles - I am not a corporation, ok? I am flawed and I'm trying really hard to make this work and B) to give a little insight into the reality of being a work-at-home mom. Maybe you are also a work-at-home mom and are also struggling... Let me tell you - you are not alone. It's really really really hard. Posted on July 8, 2016 by Jessica Deans. Hey foxy loves! We're so excited to share our new campaign with you as well as some juicy pics from our collaborative styled shoot! We could not be more proud of this super fun collection of pics featuring some of our most girly and glamorous garlands! My favorite part about this shoot is that it involved me and my super talented girl-gang assistants and we got to get all dolled up in a big way - I am talking fake eyelashes, teased hair and sparkly dresses. It was like getting ready for our high school prom- complete with sneaky swigs of champagne off camera, dancing to Britney Spears and stuffing our faces with the best of junk foods. We love to have a good time... obviously, so give us a call for your next party!!! For this shoot, we used our Marzipan, Wild Orchid, Teenage Dream and Sixteen Candles Color schemes! For more amazing pics from this shoot, head over to 100 Layer Cake!!! Posted on February 12, 2016 by Jessica Deans. Check out Paper Fox LA on ABC's FABlife! 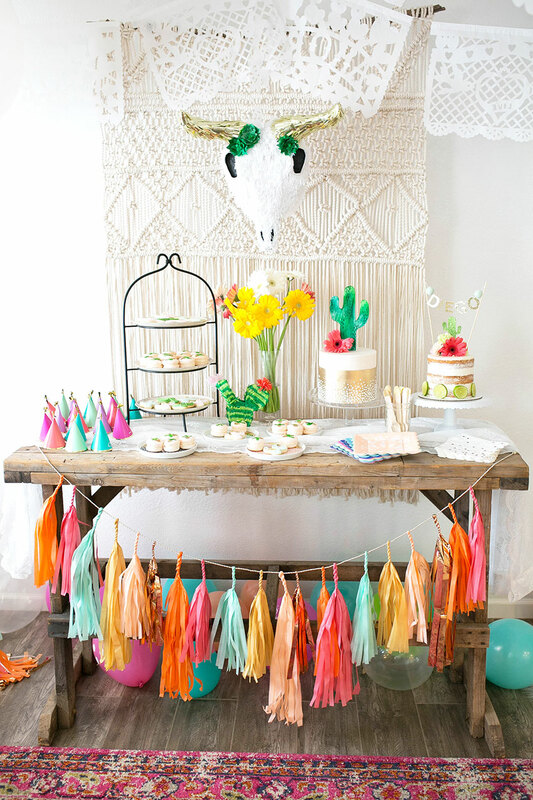 How cute is this Sugar Rush party being featured on FABlife tomorrow? We can't get enough! and by adding FABlife Garland to the color selection boxes. Be sure to tune into the show TOMORROW at 10/8 PST on ABC to see the whole party! Posted on October 7, 2015 by Jessica Deans. What We're Loving Right Now!! Posted on September 28, 2015 by Jessica Deans. We have some new goodies up in our shop that will make decorating for fall super easy! And the best part is, we've made it more affordable than ever to get CUTE!! 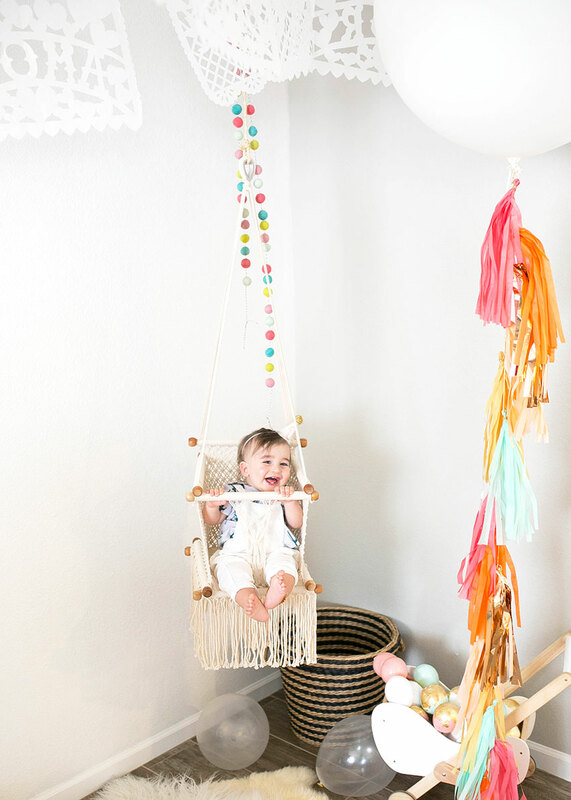 A collection of petite tassel garlands have been added for a limited time so you can stock up on every single colorway! That's right! The Petite garlands are 5ft long, have all same length tassels and are strung on natural jute twine. AMAZING! Posted on September 25, 2015 by Jessica Deans. A few weeks ago, a dear friend of mine asked me to help out with his proposal to his girlfriend. His idea was to surprise her on her rooftop in Hollywood at sunset, with all her close friends by her side. How romantic! I was thrilled to be a part of such a magical event! The lovely Caitlin of Cup My Cakez provided the most AMAZING treats and they were all gluten free, dairy free, vegan, artificial free and non GMO... and don't be fooled by the lack of butter in these babies... they taste every bit as delicious as they look!! Honestly, no one could believe they were gluten free and vegan. It's just not possible for them to taste that good! Is it?? 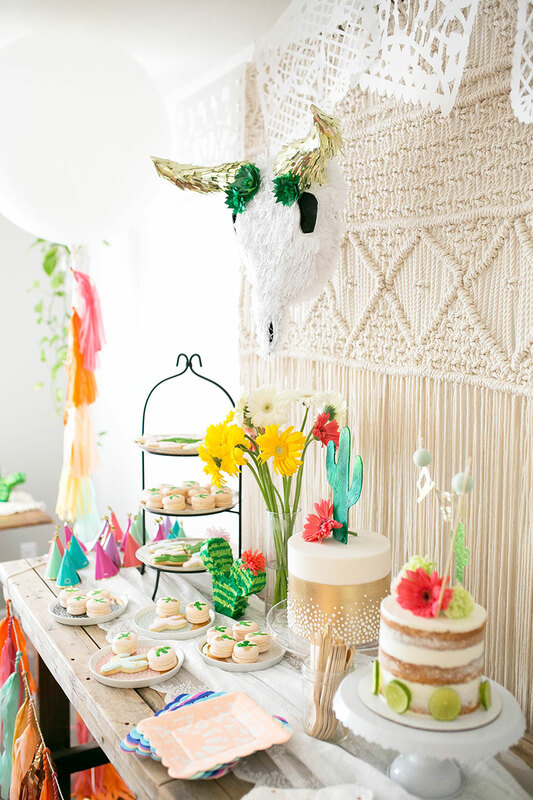 Posted on July 21, 2015 by Jessica Deans and filed under Inspiration, Real Parties, Weddings and tagged paper garlands paper fox la paper fox pfla giant balloons giant balloons with fringe paper fox balloons paper fox parties vegan gluten free. We're so excited to be sponsoring the LA Street Food Fest this year at the Rose Bowl on July 11th! Come see some of our famous photo backdrops and taste some of LA's best street food!!! Posted on July 8, 2015 by Jessica Deans. A few months ago, we had the pleasure of working with Nicole Alexandra Designs and Jennifer Fujikawa Photography on an extraordinary styled shoot for Green Wedding Shoes. Paper Fox La was asked to create a ceremony backdrop inspired by the gorgeous spring floral arrangements by Emblem Flowers. Below are some shots of our contribution. Enjoy! You can view the rest of the photos at Green Wedding Shoes!